The Quintessentials of General Dental Practitioners Series covers basic principles and key issues in all aspects of modern dental medicine. 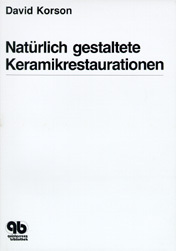 Each book can be read as a stand-alone volume or in conjunction with other books in the series. Control of anxiety and pain is fundamental to the practice of dentistry. This book provides the necessary knowledge, guidance and encouragement for the safe and effective use of conscious sedation. Basis sedation techniques (intravenous midazolam and inhaled nitrous oxide and oxygen) are described in detail; alternative techniques which may be appropriate in special circumstances are also outlined. 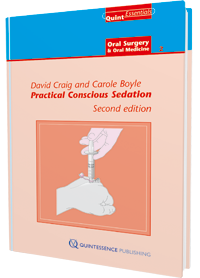 Practical Conscious Sedation is a succinct, authoritative and easy-to-read text suitable for dental and medical practitioners, qualified dental nurses, undergraduate and postgraduate dental students. Consultant, Honorary Senior Lecturer, Head of Sedation & Special Care Dentistry at Guy's & St Thomas' NHS Foundation Trust, King's College London Dental Institute and Visiting Professor at the University of Portsmouth. David has over 30 years' experience teaching conscious sedation techniques to undergraduate students, dental and medical practitioners and has served on dental and multidisciplinary groups preparing guidelines for safe sedation practice. Consultant and Honorary Senior Lecture at Guy's & St Thomas' NHS Foundation Trust, King's College London Dental Institute. Carole has extensive clinical experience treating special care patients using both conscious sedation and general anaesthesia and in teaching special care dentistry, including sedation. Mizukawa, Matthew / McKenna, Samuel J. / Vega, Luis G.
Meechan, John G. / Greenwood, Mark / Moore, Undrell J. / Thomson, Peter J. / Brook, Ian M. / Smith, Keith G.
Surgery, however minor, carries special responsibilities. These responsibilities include certainty as to the need to operate, having the necessary knowledge and competencies, meeting patient expectations to be skilful and minimally interventive yet effective, and the ability to deal with complications and emergencies as and when they may arise.